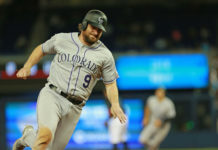 One of Dan O’Dowd’s biggest sins was his inability to develop a plan of action for the Colorado Rockies. From the causal fan to the diehard, analytics-based reporter no one knew what direction O’Dowd was steering the ship. He’d try and build his team around power hitters then decide they needed to be a defensive-minded ball club. Then, he drafted every pitcher possible only to fail miserably at developing them. O’Dowd always appeared to be aimlessly throwing darts. It looks like Jeff Bridich has bucked that trend. O’Dowd’s former understudy has put a clear plan in place when it comes to building a competitive team at 20th and Blake. Bridich and his staff are loading the farm system with flamethrowers. They want pitchers that can consistently throw in the upper 90s. It’s a simple philosophy: Fastballs work at every altitude. But it’s a head-scratcher as to why it took someone in the Rockies front office this long to figure that out. 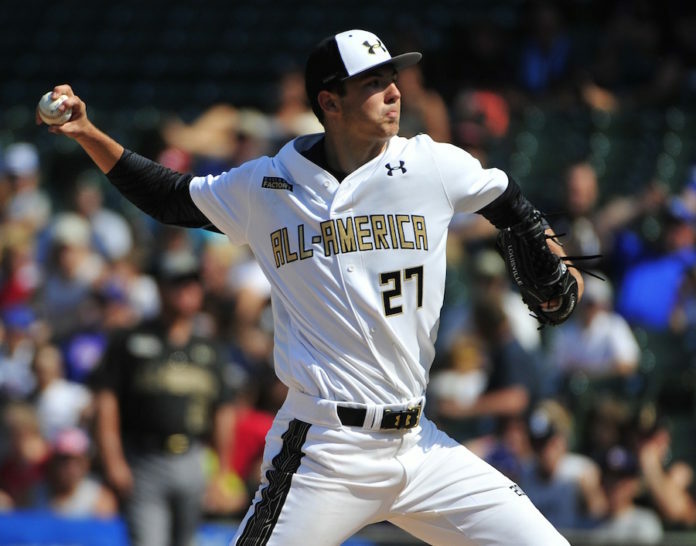 With the fourth pick in the MLB draft Bridich scooped up another young arm with a blazing fastball, high school senior Riley Pint, whose fastball has been clocked at 102 mph. Pint consistently throws it in the upper 90s. Not only is the velocity on his fastball incredible but it also has good movement. Pint isn’t a one-trick pony, either; he reportedly possesses one of the best changeups in the 2016 draft class. He’ll need to work on his slider and curveball, but as an 18-year-old he’ll have plenty of time to do just that. The 6-foot-4, 210-pound fireballer represents a new way of thinking at 20th and Blake. 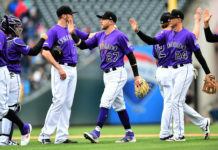 Whether or not Bridich’s plan will be successful is still playing out, but it’s refreshing to see that there’s finally a plan when it comes to the Rockies’ pitching philosophy. Pint not only represents Colorado’s future but the overall direction of the franchise as well.